Beautiful home perched in an upscale, country setting with sunrise to sunset pastoral & mountain views. 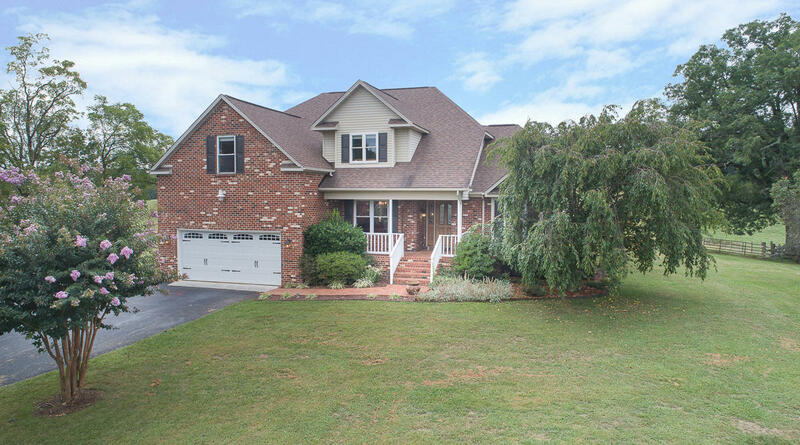 Entry level features a welcoming brick front porch & foyer; gleaming hardwoods, Nice eat-in-kitchen with pantry, Breakfast area and Dining room; Master BR Suite, Laundry room, 2-car garage and back deck plus 2-story vaulted great room surrounded by windows, overlooked by an upper balcony/study area. Upstairs also features a small bonus room and 3 BRs (one with fireplace could be optional Rec/Play/Media rm). Lower level offers Rec Rm, Wet bar, office or 5th BR, Storage, Hobby room and Full bath. Close-in location with plenty of elbow room & privacy, plus high speed internet!